Save Mart looks for candidates that are customer centered, passionate, dedicated, and honest. How to apply for Save Mart online is a snap. 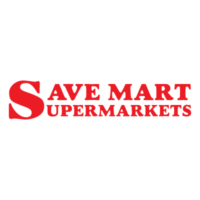 Find the Job Links heading below, click on one of the links provided, search for one of the many Save Mart jobs that are listed, and fill out a Save Mart application. The first Save Mart store opened in Modesto, California in 1952. A partnership was established with Mid-Valley Dairy and a major growth was seen in 1984 when eight new stores were opened. The company acquired Albertsons stores in 2007 in the Metro Sacramento area, San Francisco Bay Area, Central Valley, and Northern Nevada, and converts them to Lucky and Save Mart stores. Currently, the company operates 213 stores and the Headquarters are located in Modesto, California. This company believes strongly in giving back to the communities they serve. The programs that they are involved with are targeted towards children’s humanities, education, health needs, and food for children and families with children. Some of the organizations that they contribute to include MDA, City of Hope, Children’s Hospitals, The Salvation Army, American Cancer Society, and the Center for Human Services. These are just some of the establishments among many more local civic organizations. The culture is one that is busy and family oriented. To begin your career, look for Save Mart jobs on their website and submit you Save Mart application. There are many Save Mart careers to choose from. If you want to work in the store, there are positions available such as Grocery Clerk, Courtesy Clerk, Bakery Clerk and Produce Clerk. They offer great benefits and competitive pay. There are also many jobs available through the distribution centers and corporate office. Some of the corporate positions include Accounts Payable Supervisor, Cabling Technician, Commercial Facilities Technician, and Loss Prevention Investigator. There are more listed Save Mart jobs online. The application process does take around an hour to complete. How old do you have to be to work at Save Mart? The minimum age requirement for store positions is 16 years old. Distribution and corporate positions require that the candidate be at least 18 years of age or older. Save Mart offers its full-time eligible employees a comprehensive benefits package. Those benefits include competitive pay, health and welfare benefits such as medical, dental, and vision, and training and development opportunities. There is not a printable application for Save Mart available to download. If you wish to apply in person, the company is open seven days a week from 6:00 am to 12:00 am. Or you can simply apply for jobs at Save Mart online. Grocery Clerk – The Grocery Clerk is responsible for providing excellent customer service by suggestively selling, locating items, and completing sale purchases. Other duties include bagging groceries and stocking shelves in all areas of the store and general merchandise. Courtesy Clerk – The duties of this role are to bag groceries and assist customers to their cars. Other responsibilities include gathering carts, assisting in the cleanliness and organization of the store, and other miscellaneous duties. Produce Clerk – The Produce clerk ensures freshness and quality in all produce and garden items, where applicable. Responsibilities include merchandising, suggestive selling, stocking, and ordering within the department. Bakery Clerk – Responsibilities of this position include stocking and selling baked good, product handling, and food preparation. Other duties include maintaining cleanliness and sanitation of the department, offering suggestions for event planning, and making announcements. The following are examples of some of the questions that you may face during an interview. What does a sense of urgency mean to you? The hiring manager will ask this question because customer service depends on the person helping the customer to do so as quickly and as efficiently as possible. How would your references describe you? You can easily answer this question by asking your references before the interview. In this way, you can also ensure that the references that you are using are strong references that have seen you work before. What are the top three most important actions that you take when working? With this question, there are specific key things that you can answer with. Talk about your work ethic such as your attendance, your customer service skills, organization, attention to details, cleanliness, etc. What is your best personal trait? – The recruiter wants to know if you are charismatic, happy most of the time, outgoing, honest, loyal, and dedicated. The examples are numerous, but you will want to pick the best one that will help you land the job. How have you changed over the last five years? – This is a good time to explain some of the challenges that you have faced and how you have overcome them. Be a bit careful when answering this question because five years is a long time. Focus on the major events and what you have learned. Before you start your job search, make sure you research the company and write down any questions that you may have regarding the business or career growth. Create or update your resume keeping the length to no more than two pages. Set aside at least an hour to complete your application as there will be some assessment tests that you will take. Dress in professional attire for your interview. Be prepared by bringing a copy of your resume, a list of addresses and phone numbers from your previous work history, a pad of paper, and a writing utensil. Keep distractions at a minimum by turning off your cell phone and spitting out your gum.